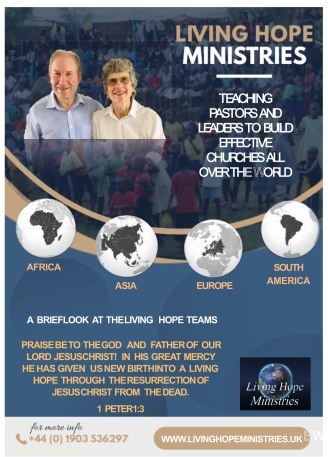 Living Hope Ministries - Evening. You are warmly invited to an evening of news, praise and prayer, supporting the work of Living Hope Ministries. Please come if you are able to do so and let others know who may be interested in coming.